The main duties of the Community Development Committee are to: deal with matters relating to crime prevention, public safety, CCTV and consider applications for Community grants. This committee administers the budget for entertainment with events such as the Lantern Festival, Christmas Lights Switch-on, Easter Bonnet Parade and a Summer programme. An information sheet showing details of a community grant that is available to voluntary and community organisations within the Morley Town Council area can be downloaded below, together with an application form. To disclose or draw attention to any disclosable pecuniary interests for the purposes of Section 31 of the Localism Act 2011 and paragraphs 13-18 of the Members’ Code of Conduct. Also to declare any other significant interests which the member wishes to declare in the public interest, in accordance with paragraphs 19 to 20 of the Members’ Code of Conduct. Present: Cllrs S Kimberley (Chairman), S Varley, J Rodley, R Bell and N Bullock. G Fowler (Tingley Brass Band), K Hardwick (Morley Lions) and W Maynard-Light (Deputy Town Clerk), also attended. Apologies were received from Cllrs W Kidger and A Dalton. The reasons given were noted and accepted. There were no declarations received. The minutes of the meeting held on 7/2/19 were agreed as a true and correct record. There was no Police attendance. G Fowler gave a verbal report on the arrangements to date. All adjudicators had now been secured, advertisements were in two northern publications and seven bands have entered the competition. Morley Lions are actively seeking advertisers for the programme. G Fowler and K Hardwick left the meeting at this point. The Chairman brought forward item 7. This information was noted. Members suggested that the grant monies awarded during the financial year should be noted on the Town Council website. Two representatives attended to present this application for £671 to purchase additional and replace existing goals for the Under 6’s group. Following a discussion, it was agreed to award a grant of £750. DTC advised members two schools had withdrawn from the festival, taking the number of schools taking part to five. Arrangements are on-going with the Town Centre Manager. A budget of £75 was proposed and agreed to purchase Easter Eggs. The next meeting would be an Extraordinary meeting to be held on Tuesday, 19 March 2019 at 7.00 pm. W Kidger (late arrival). Pc R Hulme (Morley NPT), G Fowler (Tingley Brass Band) (late arrival) and W Maynard-Light (Deputy Town Clerk), also attended. Apologies were received from Cllr R Bell and Rachael Kennedy (Town Centre Manager). The reasons given were noted and accepted. The minutes of the meeting held on 3/1/19 were agreed as a true and correct record. Cllr N Bullock and G Fowler arrived during the above item. Pc Hulme gave an overview of the current situation regarding reported crimes in the Morley wards. There have been overall seven burglaries from businesses and nine burglaries from residential homes. The Police had two suspects, one arrested and a warrant issued against second. Cllr Kidger arrived at this point. There have been 14 thefts of motor vehicles and seven thefts from lockers at the Leisure Centre. Sixteen thefts from shops with five suspects being arrested. Pc Hulme left the meeting at this point. G Fowler gave a verbal report on the arrangements to date. Four bands have entered the competition. G Fowler left the meeting at this point. DTC advised members five schools had responded. Reminder email will be sent out week commencing 11/2/19. There were no grant applications received. (i) Invoice from Leeds City Council for £413.37 re. room hire for Schools Music Festival 9/3/19. This item of expenditure was agreed. The next scheduled meeting is on Thursday, 7th March 2019 at 7.00 pm. Present: Cllrs S Kimberley (Chairman), S Varley, A Dalton and N Bullock. Ps C Stevens (Morley NPT) and W Maynard-Light (Deputy Town Clerk), also attended. Apologies received from Cllr R Bell. The reason given was noted and accepted. The minutes of the meeting held on 3/11/18 were agreed as a true and correct record. Ps Stevens gave an overview of the current situation regarding reported crimes in the Morley wards. Over the Christmas period reported crimes has been relatively low compared with neighbouring areas. Majority of crimes reported were burglary from businesses and there has been an arrest, with the offender awaiting a Crown Court appearance. There were 2 reported incidents on the Newlands estate, neither of these were connected to the recent troubles involving youths. Ps Stevens left the meeting at this point. It was reported that the event had been a success and well attended. There were no issues/incident with the numbers of people attending. This event is growing year on year. DTC advised members that the costings for 2019 would be increasing, especially with regards the firework display and stage hire. Costs have been held for a few years. DTC advised members an email had been sent out prior to the Christmas break. As yet no responses had been received. DTC also advised members that the rooms had been booked and an invoice would require payment prior to the event, together with purchase of refreshments for the children and the tea bar. It was proposed a budget of £750 to cover the room hire and refreshments. This was agreed. There was no one from either the organisers or Round Table attended to give an update. Members agreed that the in- coming Mayor for 2019-20 be asked to host a reception for visiting civic and personal guests in the Mayor’s Parlour prior to the start of the competition as in previous years. These items of expenditure were agreed. Present: Cllrs S Kimberley (Chairman), R Bell, S Varley, A Dalton and N Bullock. W Maynard-Light (Deputy Town Clerk), also attended. Apologies received from Cllrs W Kidger and J Rodley. The reasons given were noted and accepted. The minutes of the meeting held on 4/10/18 were agreed as a true and correct record. No member of the Police attended. The even went well, with approximately 60 pumpkins entered the competition. Lower number attended compared with previous year, but the event was manageable. Arrangements are in place. DTC to send email out to councillors for volunteer stewards at the evening event. DTC to send out email to schools. Two representatives attended to present this application. A grant of £750 had been requested for the purchase of a computer and a coffee making machine. Following a discussion, it was agreed to award a grant of £750. The next scheduled meeting is on Thursday, 3rd January 2019 at 7.00 pm. Present: Cllrs S Kimberley (Chairman), R Bell, S Varley and N Bullock. K Hardwick (Morley & District Lions) and W Maynard-Light (Deputy Town Clerk), also attended. Apologies received from:- Cllrs A Dalton and W Kidger. Reasons given were noted. The minutes of the meeting held on 13/9/18 were agreed as a true and correct record. The tours around the Town Hall were well attended. The Community Archives put on a display in the Large Banqueting room and refreshments were served at the end of each of the tours. Flyers will be distributed to primary schools week commencing 15/10/18 and tickets will be available from the Town Council office. Mayor and Mayoress to judge the lanterns. Morley Lions have provided the prizes. DTC to email Councillors requesting volunteer stewards for the event. Setting up and decoration of Alexandra Hall from 4pm. Arrangements are on-going. Members agreed to pay invoices when they come in. K Hardwick left the meeting at this point. (a) Denshaws, Newlands and Rydals T.A.R.A. No representative attended to present this application. Helen Connell and Louise Bentley attended to present information on the background and ethos of the ‘Little Free Libraries’. To date money has been crowd funded to purchase one of the boxes to house the free library, with books being donated by members of the public. Mrs Bentley requested assistance in identifying a suitable site for the box in the Town Centre, preferably in Windsor Court and within the range of a CCTV camera for security purposes. DTC to contact LeedsWatch to ascertain the ranges of the cameras within the Town Centre and report back. L Bentley and H Connell left the meeting at this point. The release of the above grant was approved. The next scheduled meeting is on Thursday, 8th November 2018 at 7.00 pm. Present: Cllrs S Kimberley (Chairman), R Bell, A Dalton and N Bullock. W Maynard-Light (Deputy Town Clerk), also attended. Apologies received from:- Cllrs S Varley and W Kidger. Reasons given were noted. Cllr A Dalton declared an ‘other’ interest in item 5(ii) (b) Leeds Youth Services, as he is a member of organisation which comes under the Youth Services remit. The minutes of the meeting held on 25/7/18 were agreed as a true and correct record. This application was deferred to the next meeting. Two representatives attended to present an application for a grant of £750 towards a planned trip to Keswick for 15 young people. Participants would be undertaking various activities and trips as part of a team building exercise. Following a discussion, it was agreed to award a grant of £750. Two representatives attended to present an application for a grant of £750 towards the costs of hiring a venue and costumes for a fashion show to raise fund for local mental health charity. The next scheduled meeting is on Thursday, 4th October 2018 at 7.00 pm. Present: Cllrs S Kimberley (Chairman), R Bell, W Kidger, S Varley and N Bullock (late arrival). Apologies were received from Cllr A Dalton. Cllr Bell gave an ‘other’ interest in item 9 (ii) (a) as he is a member of the Luncheon Club. The minutes of the meeting held on 5/7/18 were agreed as a true and correct record. The Chairman brought forward item 5. The budgets were noted and reviewed. DTC advised members that dependent on the agreed to hold the Schools Music Festival, a charge for room hire would be incur which has been introduced by LCC and not accounted for in the 2018/19 budget request. This additional cost is also applied to the Lantern Festival expenditure. Following a discussion, it was proposed and agreed to review the Entertainment figure at the Budget Review taking into account room hire charges and a request be made to Finance, General Purpose and Strategic Committee for an additional sum of £1,000 to cover the shortfall on the Entertainments cost centre. Cllr Bullock arrived during the above item. Members were advised that a budget of £2,500 has been requested. Members were advised that a budget of £450 has been requested. The above budgets were proposed and agreed. Following a review and discussion the PCSO agreement was approved. Following a discussion it was agreed to hold the Music Festival on Saturday, 23 March 2019. DTC requested to book the Alexandra Hall and Morleian Room. Cllr Bell left the meeting at this point. Two representatives attended to present an application for a grant of £750 to assist in the costs of taking 40 elderly members, with learning and mobility difficulties, to Flamborough for the day with entertainment and a meal. Following a discussion, members agreed to award a grant of £750. An extraordinary meeting will be held on Thursday, 6th September 2018 at 7.00 pm. Present: Cllrs S Kimberley (Chairman), R Bell, A Dalton and W Kidger. K Hardwick (Morley & District Lions), G Fowler (Tingley Brass Band), PC R Chaplin, PCSO E Radley and PCSO M Neild (Morley NPT) and W Maynard-Light (Deputy Town Clerk) also attended. Apologies were received from Cllrs N Bullock and S Varley. The minutes of the meeting held on 7/6/18 were agreed as a true and correct record. G Fowler gave a verbal update. Eleven bands had competed and the event went well. The event may be held on a different date in 2019. It was reported that there had been a spate of shoplifting in the town centre, plus theft from a motor vehicle. Two arrests had been made in connection with several shoplifting incidents. Incidents of nuisance off-road bikers in the Newlands/Denshaws area. Patrols have been increased as a deterrent. Police representatives left the meeting at this point. Two representatives attended to present an application for a grant of £750 to purchase polo shirts, with club logo, for each members of the club. Cllr Dalton left the meeting at this point. Two representatives attended to present an application for a grant of £750 to assist with the costs of hiring the stage, sound and lighting equipment for Wickfest 2018, a charity fundraising annual event. 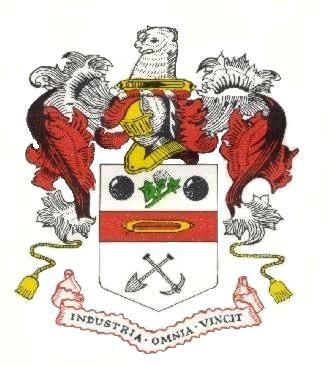 (b) Morley Cricket & Sports Club – £750. An extraordinary meeting will be held on Thursday, 26th July 2018 at 7.00 pm. Present: Cllrs R Bell (Chairman), W Kidger, S Varley, N Bullock, S Kimberley (late arrival) and N Dawson (late arrival). W Maynard-Light (Deputy Town Clerk), PC D Wilson (NPT) and K Hardwick (Morley & District Lions Club) also attended. Cllr W Kidger declared an ‘other’ interest in item 8(ii) Grant application from Phoenix Dance Group as she has a close connection with the group and personally knows the applicants. Cllr S Kimberley arrived at this point. The minutes of the meeting held on 1/2/18 were agreed as a true and correct record. PC Wilson provided a verbal report to members including the new policing model introduced on 26/3/18; a new Sergeant had joined Morley NPT and Insp Ian O’Brien would be overseeing Morley, based at Elland Road. Regarding burglaries from schools and local businesses, a suspect had been detained. Theft from vans, which had had an upsurge in reported incidents has now dropped. Cllr Dawson arrived at this point. Burglary dwellings involved taking of goods and handbags but not car keys; figures of reported incidents was average for the force area, likewise thefts from shops. PC Wilson left the meeting at this point. Seven schools participated and the event was well supported by the families and friends of children taking part. A suggestion was put forward to hold the music festival every two years; this was not supported. Due to the inclement weather, the event was held in the Church of the Nazarene. Although only a small number of children entered the competition, the event was considered successful and it was proposed and agreed a donation of £100 be given to the Church for the hospitality extended at very short notice. Morley Morrisons donated the prizes for the competition and both Briony (Communities Champion) and the Store Manager attended the event. K Hardwick reported that 14 bands would be taking part and the adjudicators were in place. Carlton Scout group would be assisting with carrying signage boards and this year brochure printing costs had increased. Cllr Bullock and K Hardwick (Morley Lions) left the meeting at this point. Two representatives attended to present this application. A grant of £750 had been requested towards the expenses for putting on a show in aid of two local charities. Following a discussion, a grant of £750 was awarded. Following a discussion, it was agreed to hold the Heritage tours of the Town Hall on Saturday, 15th September 2018. The Deputy Town Clerk was asked to submit appropriate details to Heritage re. the tours, and Cllr Kidger will speak with Dr C McManus regarding the walk to be held on Sunday, 16th September 2018. (i) Invoice dated 6/2/18 from Leeds City Council for £2,982.00 (plus VAT) re. CCTV Maintenance and Monitoring April 2017 to March 2018. (ii) Invoice dated 12/3/18 from the Office of the P&CC West Yorkshire for £33,696.00 re. contribution to PCSO’s Q3 and Q4. The above items of expenditure were approved. The next scheduled meeting will be held on Thursday, 3rd May 2018 at 7pm. Present: Cllrs R Bell (Chairman), W Kidger, S Varley, S Kimberley and A Dalton. K Oakley (Town Clerk) and K Hardwick (Morley & District Lions Club) also attended. Apologies were received from Cllr N Dawson. Cllr W Kidger declared an ‘other’ interest in item 7(ii) Grant application from Churwell Lions AFC, as she delivered the application. Cllr S Kimberley declared an ‘other’ interest in item 7(ii) Grant application from Churwell Lions FC, as he personally knows the President. The minutes of the meeting held on 2/11/17 were agreed as a true and correct record. A police representative was not in attendance. Members noted the information contained in the report that had been circulated. It was agreed to bring item 6(iii) forward on the agenda. It was reported that 5-6 band had so far confirmed. K Hardwick, Morley Lions, left the meeting at this point. It was noted that expenditure would be required in respect of certificate frames, sweets/crisps/drinks for children participating, and refreshments for visitors. Note: as there is no budget for this expenditure, it was suggested that this be taken from the Entertainment budget. Following a discussion, it was determined that volunteers would be required for this event and also for the Schools Music Festival. This is to be brought up at the next Full Council meeting. Three representatives attended to present this application. A grant of £750 had been requested towards the cost of providing a football strip for 26 children. Following a discussion, a grant of £750 was awarded. (i) Invoice dated 22/1/8 from Leeds City Council for £275.00 re. hire of Alexandra Hall & Morleian Room for Schools Music Festival on 24/3/18. Following a discussion, the Town Clerk was asked to investigate whether the charge in respect of room hire can be reduced or waived. The next scheduled meeting to be held on Thursday, 1st March 2018 at 7pm. Present: Cllrs R Bell (Chairman), W Kidger, S Varley, S Kimberley, N Bullock and A Dalton. PCs M Sedgley and A Dennis (Morley NPT), G Fowler (Tingley Brass Band) and W Maynard-Light (Deputy Town Clerk) also attended. Pc Sedgley provided a verbal update to members present. Pc M Sedgeley, Pc A Dennis and Cllr Dalton left the meeting at this point. Members were advised the date would be Saturday, 1st December 2018 and format to be the same as 2017. Cllr Dalton re-joined the meeting during the above item. Two representatives attended to present this application. A grant of £500 had been requested towards the cost of printing advertising leaflets and banners. Following a discussion, a grant of £500 was awarded. Cllr Kidger gave a verbal update. The release of the grant was approved. (i) Donation of £200 to Meerkat ESU (Scouts) re. serving of refreshments and handing out Orders of Service at Remembrance Parade and Service. It was agreed to give a £200 donation to the above Scout Group. The next scheduled meeting to be held on Thursday, 1st February 2018 at 7pm. Present: Cllrs S Kimberley (Deputy Chairman), S Varley, W Kidger and N Bullock (late arrival). Pc M Sedgeley (Morley Police), K Hardwick (Morley Lions), Mr A Paver (agenda item 9), and K Oakley – Town Clerk also attended. Apologies were received from Cllrs R Bell, N Dawson and A Dalton. The minutes of the meeting held on 5/10/17 were agreed as a true and correct record. Pc Sedgeley provided a verbal update to members present. Cllr N Bullock arrived during the above item. PC M Sedgeley left the meeting at this point. It was agreed to bring forward item 9 on the agenda. Mr A Paver attended in respect of this item and Cllr W Kidger undertook to attend an arranged meeting for ‘South Leeds Live At Home’ on Tuesday, 28th November 2017 at 10am, at St Andrew’s Church, Old Lane, Beeston, together with Mr Paver. A verbal update is to be provided to members following this meeting. Mr A Paver left the meeting at this point. It was agreed to bring forward item 8 on the agenda. Two representatives attended to present this application. A grant of £750 had been requested to take a team of 26 under 10’s to a weekend football tournament to be held at Butlins, Skegness. Following a discussion, a grant of £750 was awarded. Members noted the report that had been circulated. The 2017 Lantern Festival & Disco were discussed. The Town Clerk reported that proposed expenditure, as provided by R Kennedy, Town Centre Manager of £3,603 in respect of the Christmas Festival and Lights Switch-on, was approved. H Rhodes, Leeds Lights, LCC, was approved. It was noted that this would mean a small overspend of £87 between the two budget headings 4270 – Christmas Lights switch-on event and 4272 – Additional Christmas lights. The current financial year’s budget was reviewed. (i) Invoice dated 5/10/17 from Robrook Press Ltd for £87.00 (plus VAT) re. 3 x Poppy Appeal banners. (ii) Invoice dated 6/10/17 from Robrook Press Ltd for £80.00 (plus VAT) re. 2500 Poppy Appeal flyers. Both of the above items of expenditure were approved for payment. The next scheduled meeting to be held on Thursday, 4th January 2018 at 7pm. Present: Cllrs R Bell (Chairman), N Dawson, A Dalton and S Varley. D George (Morley Lions) and W Maynard-Light (Deputy Town Clerk) also attended. Apologies were received from Cllr S Kimberley, W Kidger and N Bullock. Cllr N Dawson’s attendance at the 6/7/17 meeting had not been recorded. Subject to the above amendment, the minutes of the meeting held on 6/7/19 were agreed as a true and correct record. No Police representative(s) were in attendance. The Deputy Town Clerk was asked to find out when a police representative last attended a meeting. The financial update was noted. The Chairman advised members that the event had been well attended and the Mayor’s Charity had raised more than £300. The Chairman advised members that the Deputy Mayoress would provide refreshments at the end of the two tours. Members were advised that it will be necessary to pay for room hire in line with a new LCC lettings policy. In this respect, an invoice for £150.00 was tabled for the hire of the Alexandra Hall. This expenditure was agreed. D George from Morley Lions undertook to provide the trophies. The Deputy Town Clerk undertook to email councillors regarding volunteers for the event. There were no grant applications. Members were advised that there would be a charge for the hire of the Alexandra Hall and Morleian Room, and that no budget allocation had been made in the 2017-18 financial year, for this expenditure. Volunteers would also be required for the event. Cllr Dawson gave a verbal report on a meeting of interested bodies, including Mr Paver and was waiting for information following this meeting. Cllr Dawson will update members at the next meeting. (i) Invoice dated 12/8/17 from Office of The Police & Crime Commissioner for West Yorkshire for £16,848.00 (no VAT) re. Contribution to 4 additional PCSO’s for April to June 2017. (ii) Invoice dated 15/8/17 from Robrook Press Ltd. for £29.00 (plus VAT) re. Banner for Poppy Appeal Concert. (This is a retrospective request, as the banner has already been obtained. Cllr Gettings is proposing that this expenditure be taken from A/c Code ‘4291 – Remembrance Festival and Service’. The above items of expenditure were agreed. The next scheduled meeting to be held on Thursday, 5th October 2017 at 7pm. 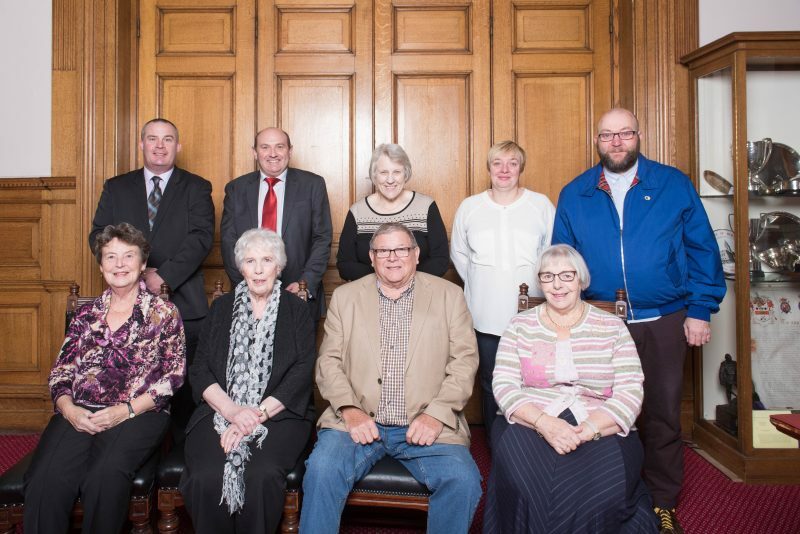 Morley Town Council is committed to ensuring the provision of a high standard of cost-effective and best value for money community services, which will enhance the quality of life for the residents of the area.